TRAIL, B.C. – The Trail Smoke Eaters used a 32-save performance from Adam Marcoux along with a shootout winner from Kent Johnson to help them to a 3-2 shootout victory over the Merritt Centennials on Saturday night at the Trail Memorial Centre. In an opening period that did not lack for entertainment, the Centennials were first to jump on the scoreboard at the 4:57 mark on a bit of an unfortunate play against the Smoke Eaters. Rylan Van Unen drove down the left wing and lost the puck on the blocker side post where Brendan Schneider came through and pushed it past the blocker side of Smoke Eaters goaltender Adam Marcoux for a 1-0 lead in favour of the visitors. The Smoke Eaters were able to get the game even at 1-1 and did so in the way of a Carter Jones marker coming at the 11:58 point of the opening period. Jones collected the puck in the left face-off circle and wheeled his way to the slot before rocketing a wrist shot past the blocker side of Centennials netminder Austin Roden for his 13th goal of the season and got the game tied. Just 21 seconds later, Trail gathered their first lead of the hockey game after attacking quickly in the offensive zone. Spencer McLean got the puck in the left face-off circle and threw it to the net and snuck the puck underneath of the blocker side of Roden for his 6th goal of the season and quickly put the Smoke Eaters ahead by a 2-1 score. Just under two minutes later, Merritt got the game evened up once more at the 14:16 mark of the opening frame. A Smoke Eaters turnover gave a chance for Brett Roloson to collect the puck at the right face-off circle and let a shot go past a screened Marcoux over the glove side to tie the game heading into the 2nd period. The 2nd period had no scoring to report of between the two teams as both goaltender reigned supreme in the middle stanza. Adam Marcoux turned aside 6 of the shots he faced in the middle frame and 21 of the 23 thrown his way throughout 40 minutes while Austin Roden stopped all 7 shots he saw in the 2nd period and 15 of the 17 put on his net in two periods. The Smoke Eaters did have a couple of good looks in the 2nd period to try and get ahead of the Centennials with Diarmad DiMurro hitting the cross bar on a shot from the left side before Kent Johnson cut in on the left wing and went through the legs of a Cents defender before pushing a backhand shot just wide of the net to keep the game tied into the 3rd period. 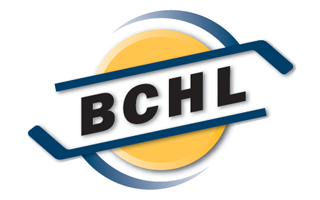 The 3rd period was also held scoreless between the two sides as the game continued to be as tight checking as the middle stanza with the Centennials outshooting the Smoke Eaters by a 9-8 margin the final regulation period as every team earned a point and moved the game into overtime. The two teams played a chess match in the opening three minutes of the extra period before the ice opened up as chances came around for both sides with the Smoke Eaters throwing four shots on goal while the Cents fired two toward the net as the game moved to a shootout. Both goaltenders turned aside the opening round of the shootout before Kent Johnson continued his shootout magic with a forehand-backhand deke to lift the puck over the glove side of Austin Roden with Marcoux slamming the door on Nick Wicks to help Trail to the 3-2 shootout victory. Adam Marcoux made 32 saves on 34 shots in regulation and overtime before stopping all three of the shooters he faced in the skills competition for his 16th victory of the season while Austin Roden turned aside 27 of the 29 shots he faced as well as two of the three shooters he faced in the shootout in his 11th loss of the season. The Smoke Eaters (19-22-7-3) remain on home ice and begin an important weekend doubleheader against their Interior Division foes in the Salmon Arm Silverbacks (24-20-4-1) on Friday night. 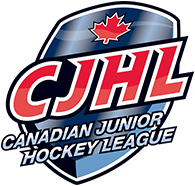 Puck drop is slated for 7:00 PM at the Trail Memorial Centre with tickets available at the Smoke Eaters Main Office as well as at the door ahead of the opening face-off.